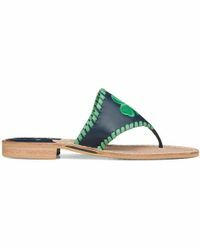 Born from a desire to create footwear that reflects the laid-back feeling of spending a summer with friends, Jack Rogers is an American brand that started with a line of resortwear and expanded over the years to offer shoes for all year round. 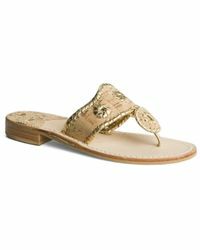 Comfortable, stylish and effortlessly wearable, collections from this directional brand feature ultra-feminine details that will never go out of style. 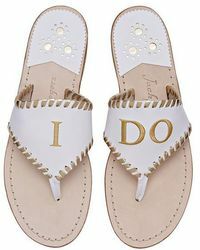 From Eastern-inspired slippers to embellished sandals, Jack Rogers flats are the perfect way to finish off chic work, evening and beach outfits. 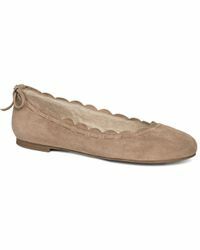 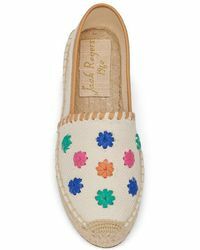 Showing 2,720 results for "Women's Jack Rogers Flats"